A logical precursor to Brand X, Nova is an Italian fusion band that features the mind-numbing bass and drum interplay of Brand X, but follows through with guitar, sax and vocals as well. Vocals are in English, and unlike many Italian bands that use English vocals, the singing does not detract from the overall quality of the music. After listening a few times, I realized that Nova has four lead instruments: the guitars, sax, bass and drums all play lead-styled lines, at the same time, for the most part. The overall product is a very complex jam with occasional vocals. Any fan of Brand X, Osanna or Area may find this interesting listening. I find it fantastic - yet another long lost Italian classic. This is their first album. They recorded three more, and I've heard that they got "rockier" as time went on. Whatever. Blink stands on its own. Highly recommended. This was reviewed in #1 and certainly deserves second mention. 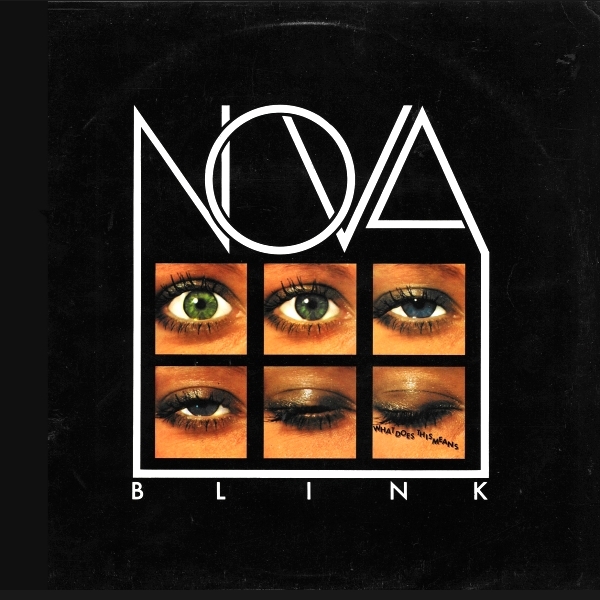 Nova were the most well known offshoot of Osanna and Cervello and this, their debut was by far their best. Later albums include performances by well-known guests such as Ric Parnell or Phil Collins, yet this was far closer to their roots in Osanna. The result is an intense rock/jazz fusion of incredible intensity with great guitar and sax work. Highly recommended to the Osanna or general fusion fan.